These are some of the factors that spell trouble for market leading brands and often provide the platform for smaller companies to launch targeted attacks at their opponents, David-and-Goliath-style. However, just because you may have these inherent traits as a challenger in the market, you still need to be smart with how you go about winning market share from your competitors. Launching all-out attacks on market leaders isn’t a very wise approach to take. Instead, a narrow and focussed approach is more likely to produce results, a process that involves two key steps. First, challenger brands need to look internally to develop distinct and significant points of difference (PoD’s) from their competitors. Second, the brand needs to match these PoD’s to strategic areas of weakness in the market leading brand. Essentially challenger brands need to leverage their capabilities and demonstrate to the market how they plug the holes in their competitors’ value offering. In doing so, the underdog brands of the world can establish a dominant competitive position, convince consumers to switch brand preference and claim market share bit-by-bit. To illustrate take Subway’s demolition of McDonald’s’ market share of the global fast food market during the early 2000’s. Subway identified a gap in the McDonald’s’ offering, namely that they were a fast food chain that wasn’t providing healthy options. This issue was clearly of strategic importance at the time as consumers were becoming increasingly health-conscious. Along with being detrimental to McDonald’s’ perception in the market, the added bonus for Subway was that their point of difference was their capability of providing tasty, fast and healthy food. Subway absolutely hammered McDonald’s with this message with bold advertising and marketing campaigns, led by the ‘Subway diet’ and weight loss brand ambassador Jared. This approach was a huge success for Subway in putting the franchise on the map, and today the restaurant even has more stores worldwide than McDonald’s. Subway isn’t the only example of a challenger brand that has innovatively used advertising and IMC to successfully position itself against competitors. This correlates to the distinct comparative advantages of challenger brands that are typically more risky with their marketing and are used to being forced to ‘adapt to survive’. Consequently, often the advertising and marketing messages of challenger brands are more inventive and engaging than those of market leaders, largely out of necessity. This can often lead to greater notoriety and recall among the target market. 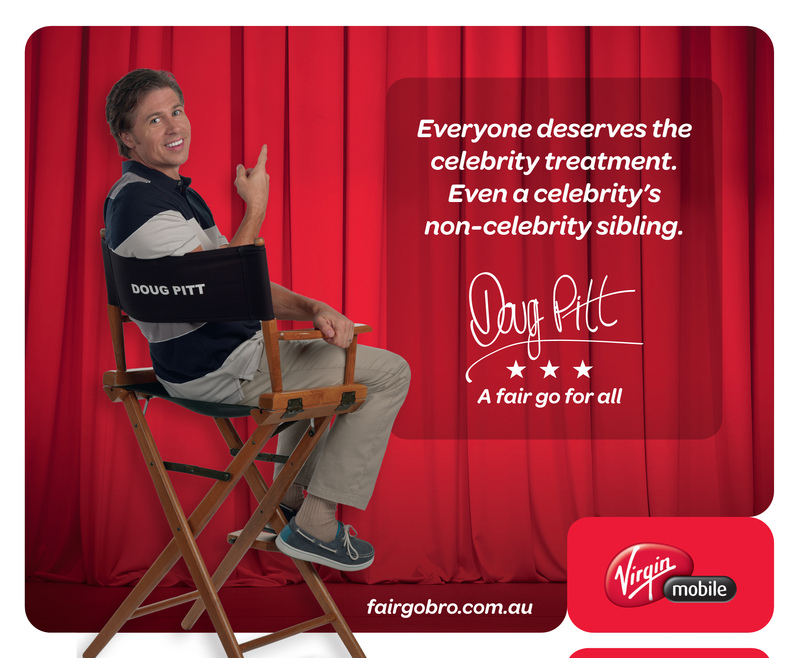 Take Virgin Mobile Australia’s current ‘Fair Go Bro’ promotion featuring Doug Pitt, brother of Brad. Virgin is pushing the message that they are the mobile carrier that will treat you fairly by providing extras like rolling over your unused credit and offering bonus data downloads. Virgin is pushing these messages to establish points of difference against market leaders Telstra and Optus, both notorious for providing terrible customer service and being stingy on extras. Both are also fairly mired in their safe existing communications strategies that were bland and outdated until they were recently revamped. It’s these unique traits and attributes of challenger brands that in many ways give them a competitive edge over the bigger competitors. Despite not being always able to launch all-out attacks and win market share in one hit, it is certainly advantage to the little guy when it comes to the competitive brand positioning in contested markets. I for one enjoy watching challenger brands take risks to engage consumers in new ways, and the smaller brands are the ones really driving innovation and change in the marketing world.